This chassis is used in our T-Hex robots. 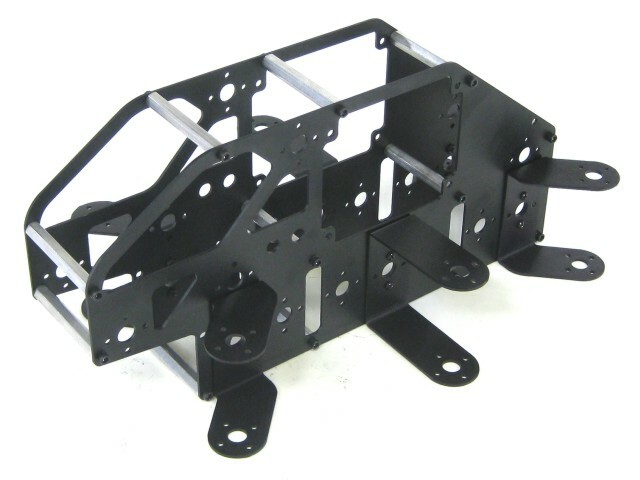 The laser-cut, black or clear anodized aluminum panels and aluminum standoffs make a nice Hexapod robot chassis for use with any of the SES legs. It has mounting hardware to hold a Bot Board and SSC-32. Includes 6 ball bearings for leg attachment. Servo Extender Cable - 6"